I'm going out on a bit of a limb with this one. The obvious choice would have been indigo but that's just, well, obvious. Then I thought I'd go with a purple hue to fit in with the Pantone Colour of the Year but again, a bit too conventional. 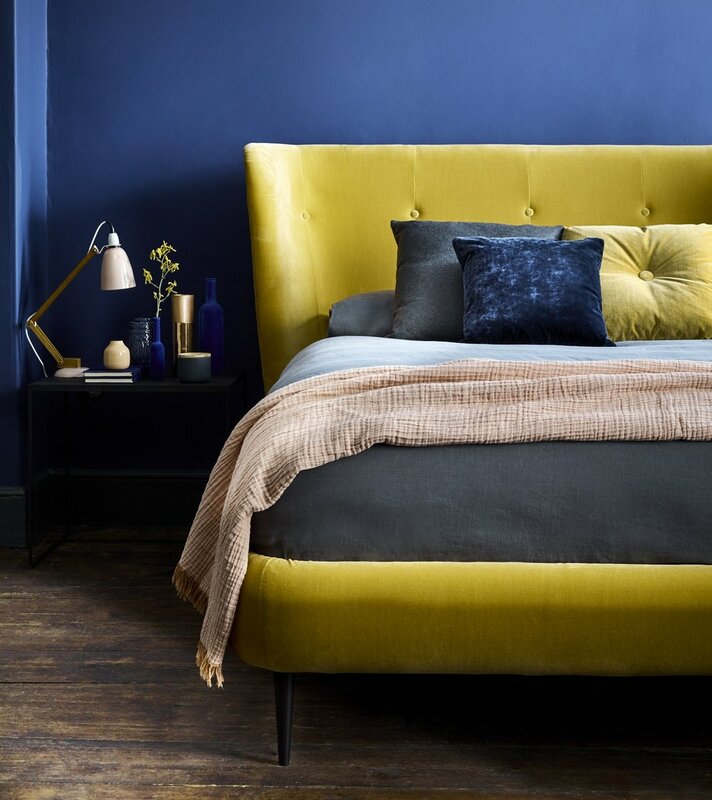 I plumped for yellow because I've seen an awful lot of ochre lately - particularly in soft furnishings - and canary yellow velvet looks great against dark blue or grey which are the wall colours of last year. I have to admit that yellow is not one of my favourite colours but the odd splash here and there really makes a difference to a room. It's a cliché but it's just such a happy colour! I had a slight moment of doubt but then I saw the image below on Little Greene's Instagram feed and thought, yep, right choice. 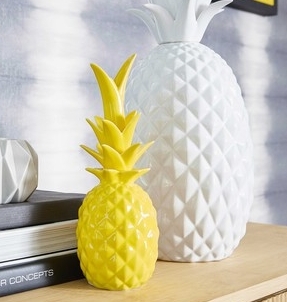 This is the fabulous 'Trumpet', a vivid canary yellow that really makes a room pop. 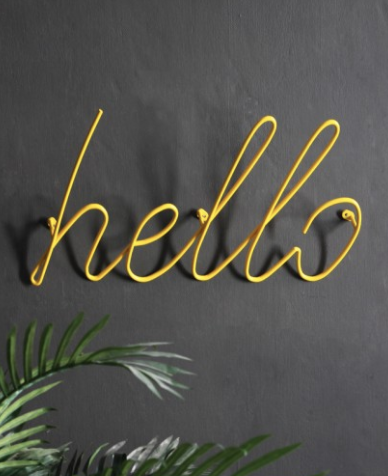 It was a popular accent colour in the 1970s and early 80s so it's a great choice if you're going down the 70s route with your decor (see Trend #1, The Style). If a zesty shade is too full on there are plenty of more subtle yellows to choose from. Farrow and Ball's India Yellow (shown below) is a great choice for walls as it is a deeper, muted tone and would add warmth to an east or north facing room without being too overbearing. It really suits period properties, particularly Georgian, as it was a new and therefore fashionable pigment in the 18th century. 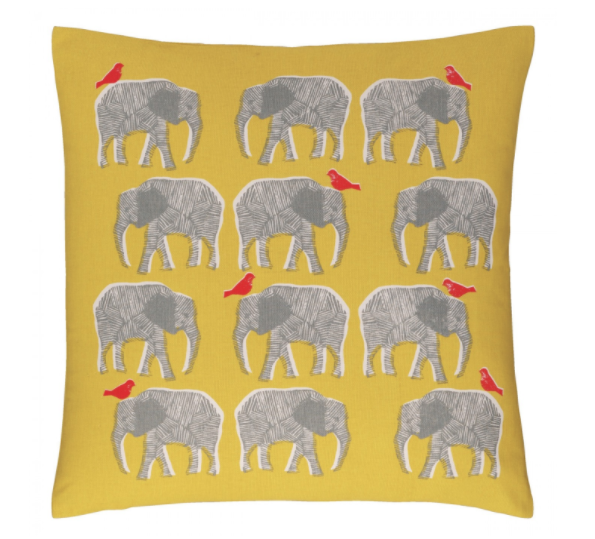 With Spring still a couple of months away adding a pop of yellow to your home is a great way to cheer things up. What do you think? Are you keen as mustard or are you chicken?